BERLIN -- A Dutch company that presented the world's first lab-grown beef burger five years ago said Tuesday it has received funding to pursue its plans to make and sell artificially grown meat to restaurants from 2021. Mosa Meat said it raised 7.5 million euros ($8.8 million), mainly from M Ventures and Bell Food Group. M Ventures is an investment vehicle for German pharmaceuticals company Merck KGaA. Bell Food is a European meat processing company based in Switzerland. Maastricht-based Mosa Meat, which has in the past also received 1 million euros from Google co-founder Sergey Brin, said it hopes to sell its first products -- most likely ground beef for burgers -- in 2021. The aim is to achieve industrial-scale production 2-3 years later, with a typical hamburger patty costing about $1. "Replacing traditional meat production with cultured meat would have a huge impact on the reduction of greenhouse gas emissions, it would free up a large amount of resources that are now used for meat production worldwide and will completely disrupt an old-established and currently unsustainable industry," Alexander Hoffmann, a principal at M Ventures, said in a news release. The big challenge is making meat that looks, feels and tastes like the real thing. Mosa Meat uses a small sample of cells taken from a live animal. Those cells are fed with nutrients so that they grow into strands of muscle tissue. The company claims it could make up to 80,000 quarter pounders from a single sample. With a number of startups and established players hoping to make cultured meat on a big scale in the coming years, a battle has broken out over the terms used to describe such products. 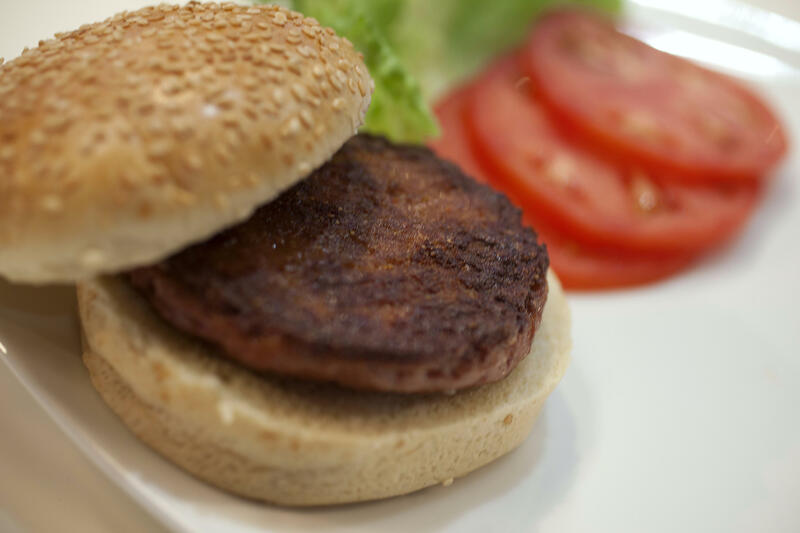 Some advocates have claimed the term "clean meat" while opponents in the traditional farm sector suggest "synthetic meat" is more appropriate.